It's Just Mobolaji | Music & Entertainment: Elli Ingram: Debuts ‘Sober’ EP! 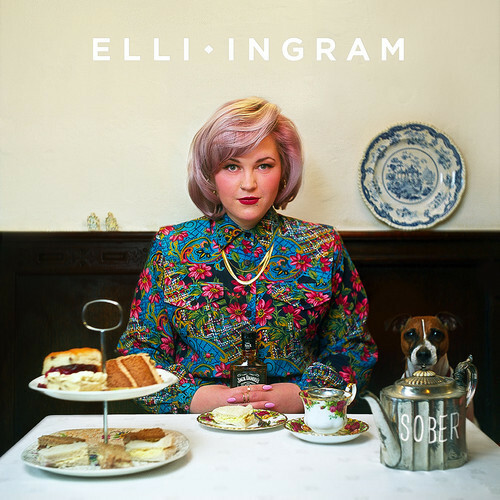 Elli Ingram: Debuts ‘Sober’ EP! Glory to this new EP! Because Elli Ingram's voice... Chillll'! Over the weekend Elli Ingram was part of the many people that shut it down on the Glastonbury stage alongside Chase & Status. And today sees the release of Elli Ingram's debut EP 'Sober' which was premiered via Hunger Magazine earlier today. Elli Ingram singsss on this 6-track-EP and includes her tracks ‘Mad Love’, ‘Fun’, ‘Sober’ as well as her ‘Poetic Justive’ refix which put her on the map and gained over 400,000 combined online hits. Two never before heard tracks ‘Elliot’ and ‘High Love’ also complete the EP. ‘Sober’ EP is produced by Felix Joseph and Aston Rudi and was debuted just in time for Summer and is sure to be on replay throughout the whole season and year. Elli Ingram has already kick-started off the year in every right way possible and 2013 is looking like a very promising year for the 19-year-old. Elli Ingram joins the phenomenal Chase & Status throughout the Summer on their tour. Check out Elli’s debut EP ‘Sober’ now - streamed below! You can thank me later for introducing y'all to such a great artist!